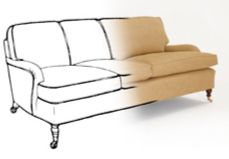 Handmade Sofas and Bespoke Sofa Design from Marriage Sofas in Suffolk. We design and make handmade sofas, exactly as you want, from our sofa design studio in Suffolk. Just select the size of sofa, choose the design, then pick the fabric for a sofa or chair that is unique to you. And we think you'll like the price too. 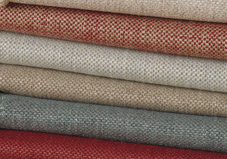 Get ideas from our sketchbook, find designer fabrics in The Fabric Room or visit our workshop and showroom in Melton, Suffolk. Made by hand, made to order and made affordable. Marriage Sofa Design, Suffolk.